4″x5″ prayer card with three of St. Faustina’s most heartfelt prayers for priests and religious. 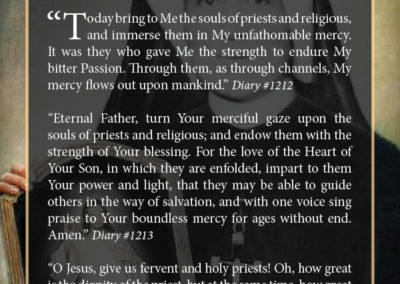 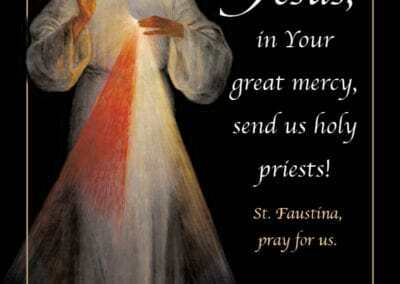 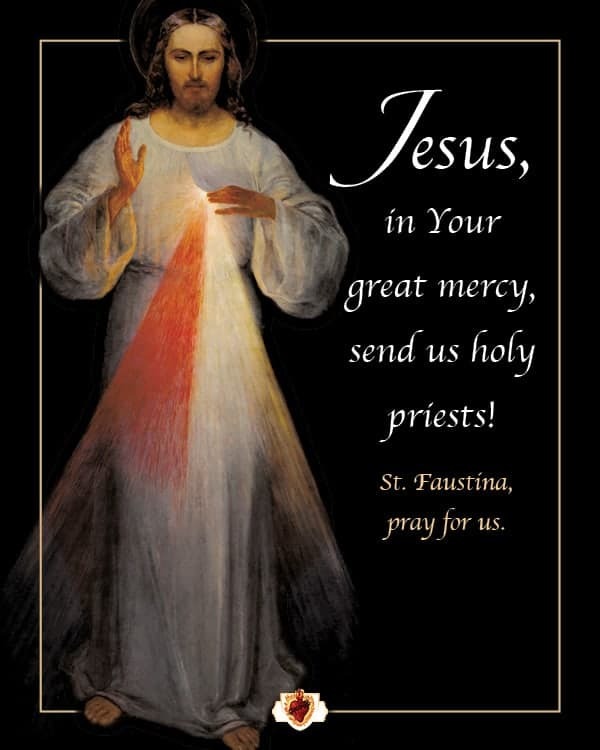 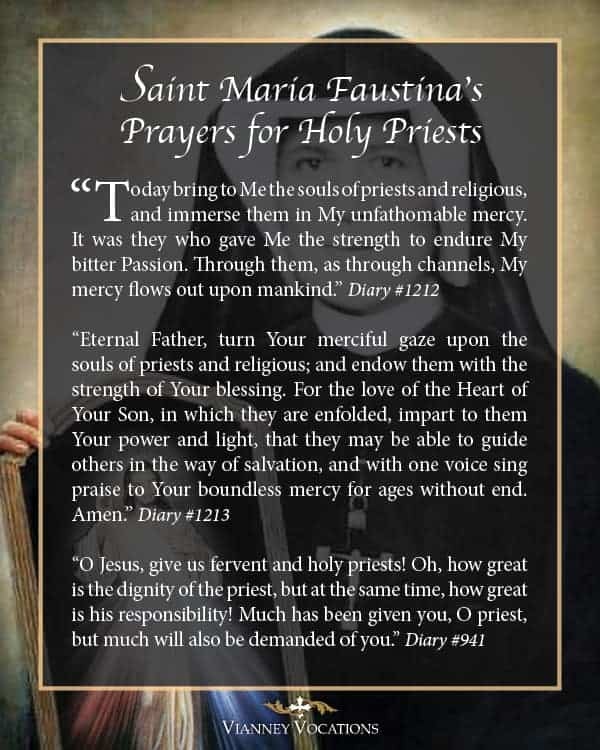 “O Jesus, give us fervent and holy priests!” prayed St. Maria Faustina in her famous diary. 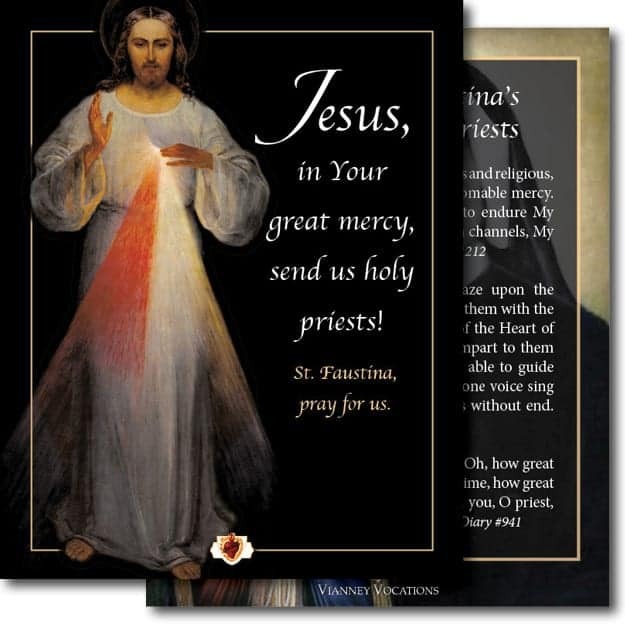 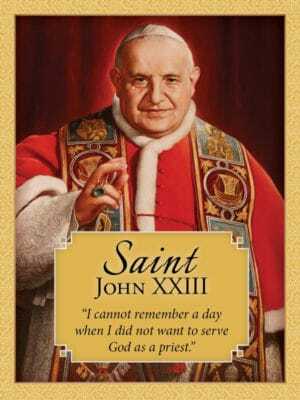 This 4″x5″ prayer card collects these and other inspired quotations from the “saint of mercy,” who was especially devoted to interceding for priests. 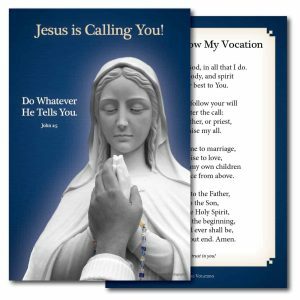 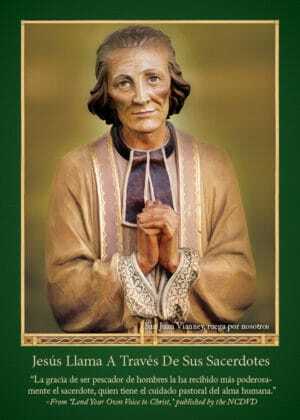 A perfect aide for praying for vocations!